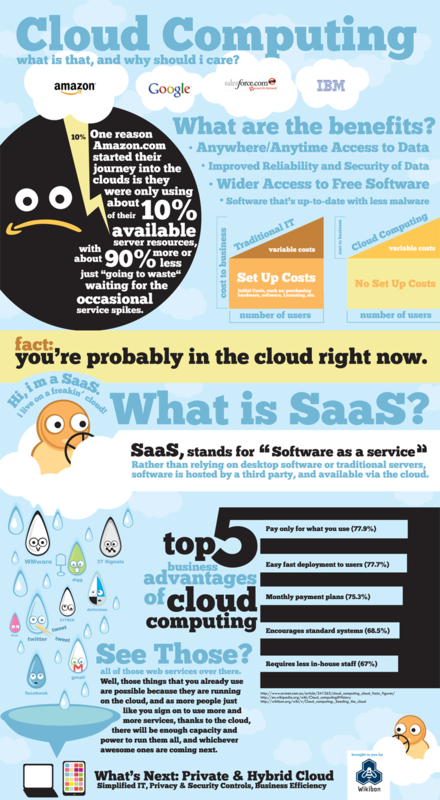 This is an excellent overview of the benefits of cloud computing. The primary one being that 90% of the time and computing power of any given server is underutilized. Purchasing a server of your own is therefore needing to be done in a specific, targeted way for your business, or is may be better to consider using the cloud. The cloud can also become like a glue that can support an IT infrastructure that can span across multiple sites or businesses that are loosely related.